Chiropractic care helps a lot of seemingly helpless conditions with no side effects. We realize finding a new chiropractor can be a nerve racking situation. Therefore, we operate a professional, relaxed and friendly office. We also offer a wide range of therapies to help achieve the ultimate results for our patients. See our Services Page for more information. 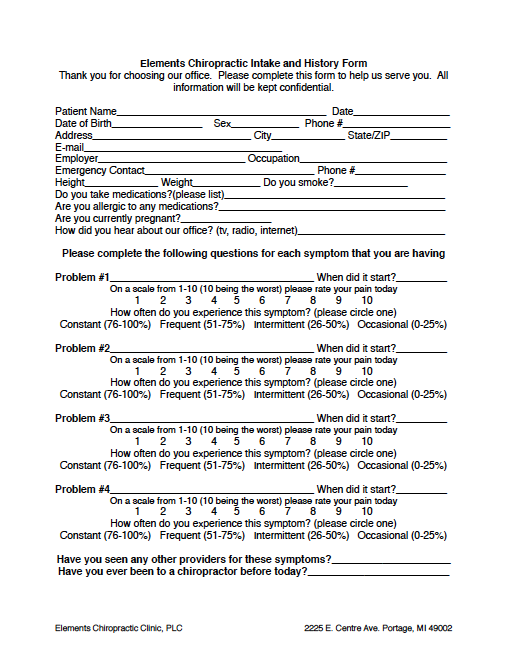 Please download and fill out this First Time Client Form before your visit.